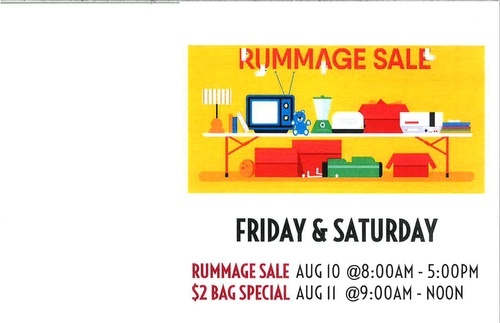 Get your thrift on at First Congregational United Church of Christ's Annual Rummage Sale! First day is the sale, second day is a $2 bag special! We will have all sorts of goodies for great prices. Check out out wide assortment and go home with a deal every time. Stop by noth days to get the best bang for your buck!